The California State Athletic Commission has released the salaries for all the fighters that competed in Saturday’s “Strikeforce: Diaz vs. Noons II” event. The Showtime broadcast took place inside the HP Pavilion in San Jose. Nick Diaz successfully defended his welterweight title in the card’s featured attraction. The controversial post-fight brawler wanted to showcase his evolved striking skills by attempting very few (if any) takedowns, despite the fact a ground attack would have benefited him greatly. There was some doubt as to who would be donning the 170-pound title before Jimmy Lennon Jr. took the mic to announce the verdict. However, the judges not only awarded Diaz a (48-47, 49-47, 49-46) unanimous decision victory, but his eighth consecutive win as well. Speaking of the three observers sitting cage-side, they also handed former lightweight title holder Josh Thomson a unanimous decision win over Gesias “JZ” Cavalcante in the night’s co-main event. Oddly, one judge gave Thomson all three rounds – including the final stanza where “The Punk” was on his back for much of the round. Diaz and Thomson were the night’s biggest ballers, as they each took home a flat $50,000 salary. Although Marloes Coenen left San Jose with the Womens 135-pound gold belt, she only pocketed a total of $3K in cash for her efforts. Please keep in mind, the numbers that get reported to the athletic commissions are only of what’s required. These figures do not include deductions for items such as insurance, licenses and taxes. 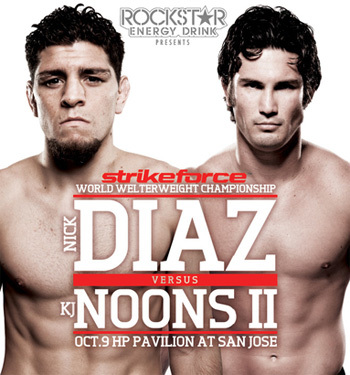 Additionally, they do not contain money paid by sponsors or any bonuses from the Strikeforce.